It's one of our favorite phones of 2018, and it might be a lot more powerful than you think. Get started with these 10 power-user tips. Some of the most popular phones on the market run heavy custom UIs with more features than any sane person needs (we’re looking at you Samsung and LG). The OnePlus 6 doesn’t overload you with things you’ll never use, but there are still subtle and useful features hidden inside this phone. 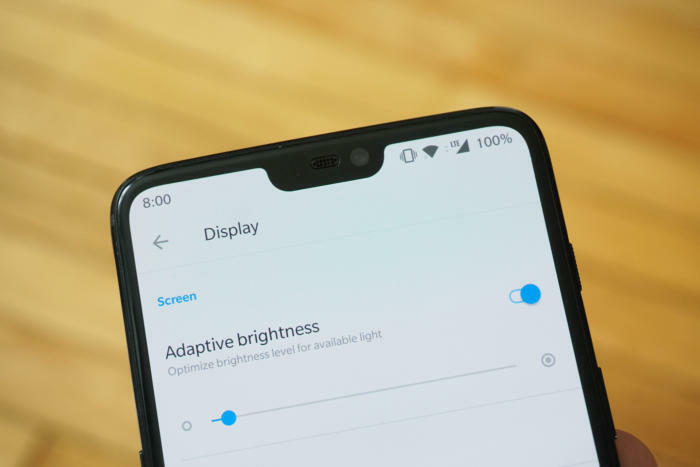 Here are 10 important setting items you should check out on the OnePlus 6. You don’t even have to turn on the OnePlus 6 to get things done. After setting up the screen-off gesture system, you can swipe to activate features instantly. You’ll find this under Settings > Gestures > Screen off gestures. There’s a straightforward “double-tap to wake” option that you should enable. You can also control music (after flipping the switch) by drawing a “pause” icon with two fingers for play/pause. Draw a left or right-facing arrow (< or >) to skip tracks. The other gestures are completely up to you—draw an O, V, S, M, or W and apply your desired function. You can launch any app or choose from system features like toggling the flashlight, opening the camera, and more. OnePlus has offered a three-position alert slider ever since the OnePlus 2, and the OnePlus 6 makes a much needed change by connecting the slider to the ringer state rather than to do not disturb mode. 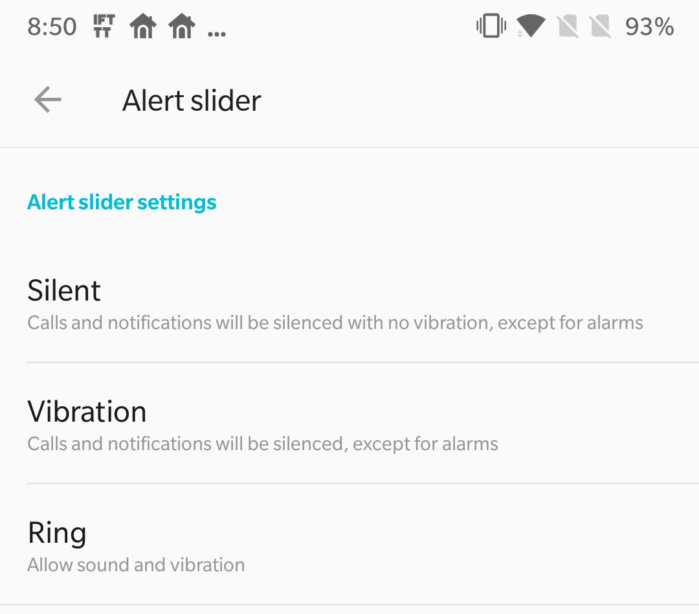 You can use the slider without any changes to toggle between ring, vibrate, and silent, but there are some useful settings to play with as well. The alert slider menu is in the main system settings. For ring mode, you can choose whether calls will also vibrate. In silent mode, you can also have media automatically muted. This is an especially handy feature when you don’t want your phone making any noise. 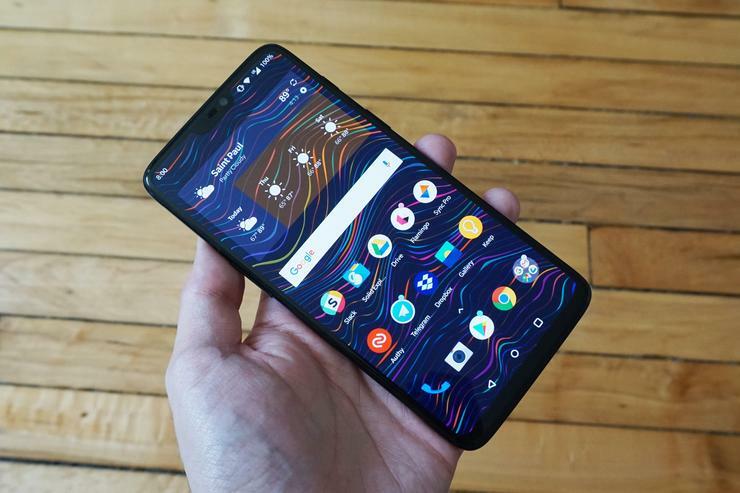 The OnePlus 6 does the screen notch better than most other Android phones, but there’s no getting around the lack of physical space for status bar icons. You can trim the assortment of icons up there in the system settings under Status bar. Inside this menu, you can add a battery percentage in place of the icon, but the major space saving is found in the Icon Manager sub-menu. You can disable icons for almost anything—even things you actually need like the signal bars. But you’re probably safe to ditch icons like the VoLTE, NFC, and alarm. A lot of people take their mobile gaming more seriously than ever now with high-stakes titles like PUBG hitting Android. 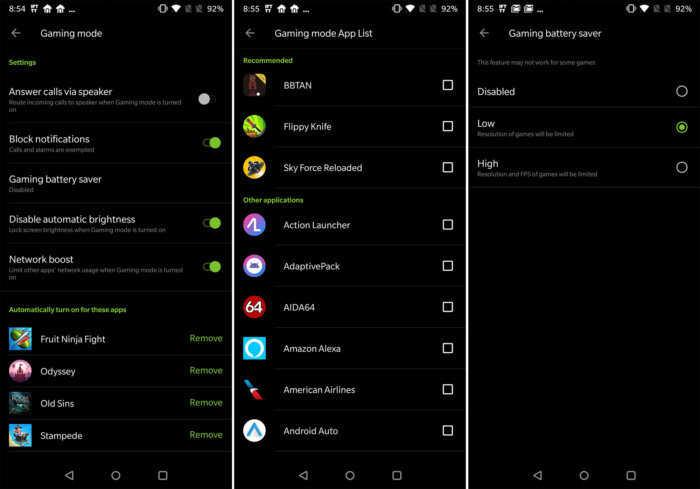 OnePlus includes a special gaming mode to boost your phone’s performance or save power while playing games. You’ll find gaming mode rather buried in menus under Settings > Advanced > Gaming Mode. This feature lets you route calls to speakerphone automatically, disable automatic brightness, and limit network access for non-game apps. Just choose your settings and add apps to your game list. Run any of those titles, and Gaming Mode will activate. Many phones let you choose the order of navigation buttons, but OnePlus goes further by letting you pick what the buttons do. These options are in a top-level Buttons menu in the system settings. You can, of course, reverse the button order if you’re accustomed to Samsung’s default layout. Each of the three standard buttons also have long-press and double-press actions available to configure. Most button triggers will default to “No action” except for the home button, which launches Assistant when you long-press. You can change that or any other button trigger to things like voice search, notifications, or turning off the screen. 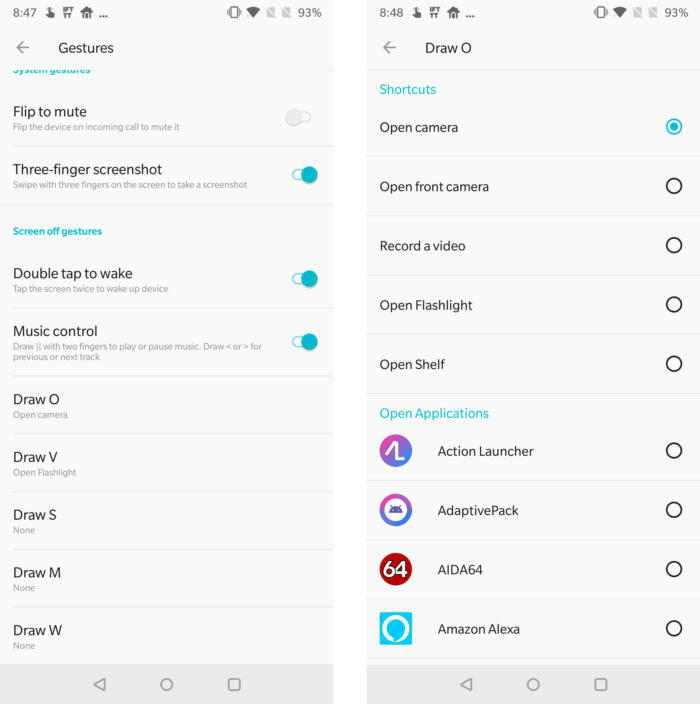 All these bright settings screens can be murder on your eyes in a dark room, but the OnePlus 6 has a dark system theme ready to go. Go to Settings > Display and scroll down to the System section. 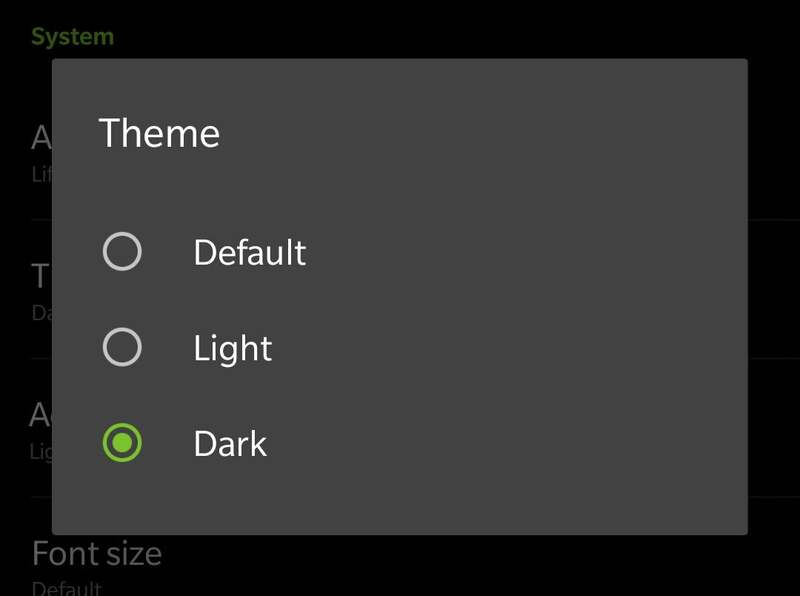 Tap on theme and choose Dark. There’s also a Light theme that switches to a completely white UI if you want to sear your retinas a little more. The dark theme applies to all system settings screens and the app drawer. Remember, you can also change the accent color in this same menu to give your theme a little more charm. If customizing the navigation buttons isn’t enough for you, there’s an option to get rid of the buttons completely. 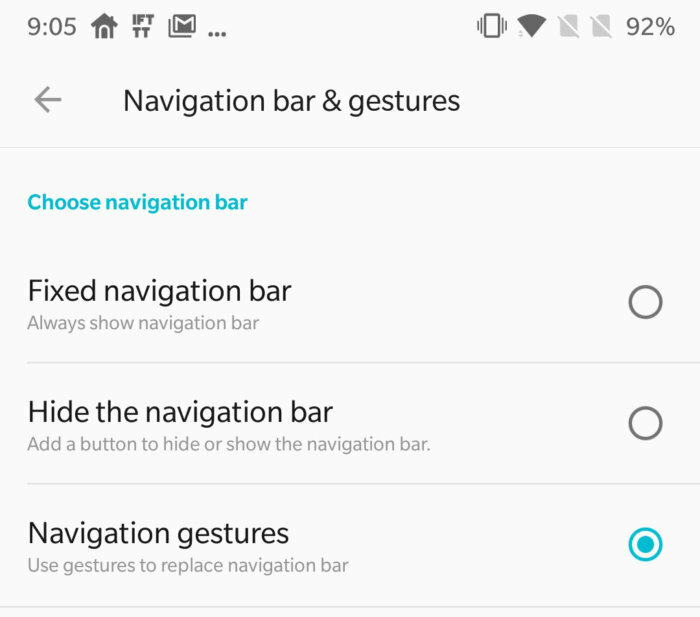 Go to Settings > Navigation bar & gestures and activate Navigation Gestures. In this mode, the nav bar is gone, and you control the phone with swipes from the bottom of the screen. A swipe up in the middle send you to Home, but swiping up and holding opens multitasking. Swipe up from the bottom left or right to go back. It takes some adjustment, but you can reclaim that lost screen space. 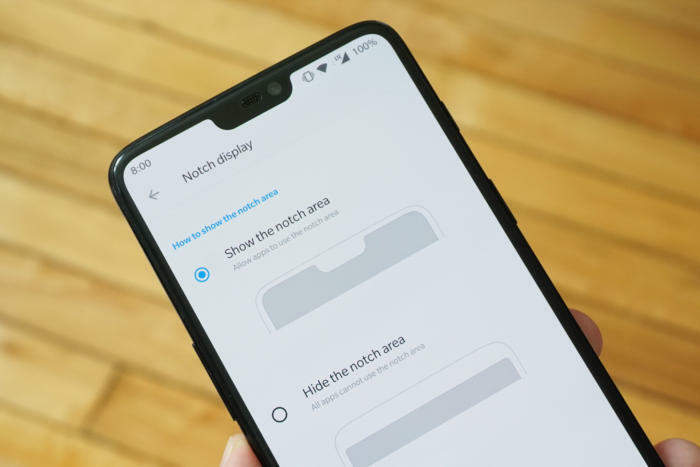 The OnePlus 6 screen notch isn’t very big, but you can make it even less conspicuous. Go to Settings > Display and scroll down to the Notch section. Here, you can tap on the Notch display item to get a choice between showing the notch and hiding it. If you choose to hide the notch, the status bar area on either side of the notch will be black instead of whatever color your status bar is supposed to be at that moment. The notification and status icons remain up there, but the protrusion into your display is less obvious. Just because you have an app installed doesn’t mean it needs to be visible in your app drawer. 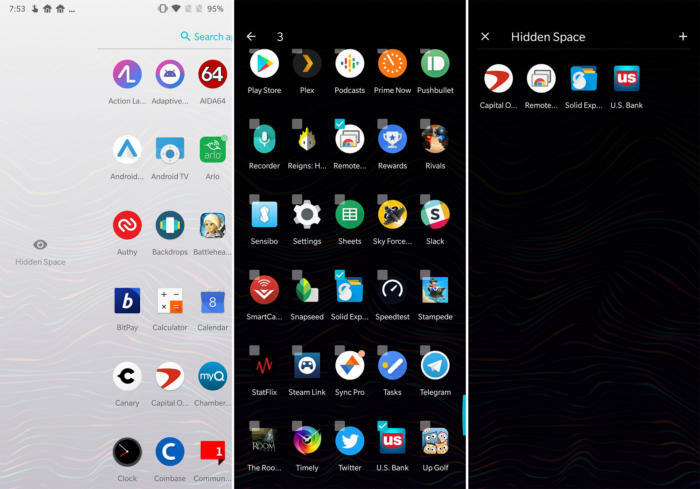 Many third-party launchers let you hide apps, but the OnePlus launcher has a slightly different take on the feature that keeps those apps where you can get to them. It’s called the Hidden Space, and it’s just a swipe away. To access the Hidden Space, just swipe to the left after opening the app drawer. You can add new apps to this list by tapping the plus icon at the top of the screen. Apps in the Hidden Space don’t show up in the main app list, but you can still launch them normally once you swipe over. If you want to restore an app, long press and select the Unhide option. The OnePlus launcher includes a Shelf to the left of the first home screen, which is where you’ll find the Google Feed on many devices. The Shelf is an extra home screen panel, vertically scrollable and designed for widgets. It has a selection of built-in widgets that track your data usage, recent contacts, and more. Don’t want all those? Just long-press and tap the red X to clear any of them. You can add more widgets to the Shelf as well by tapping the plus button in the lower right corner. 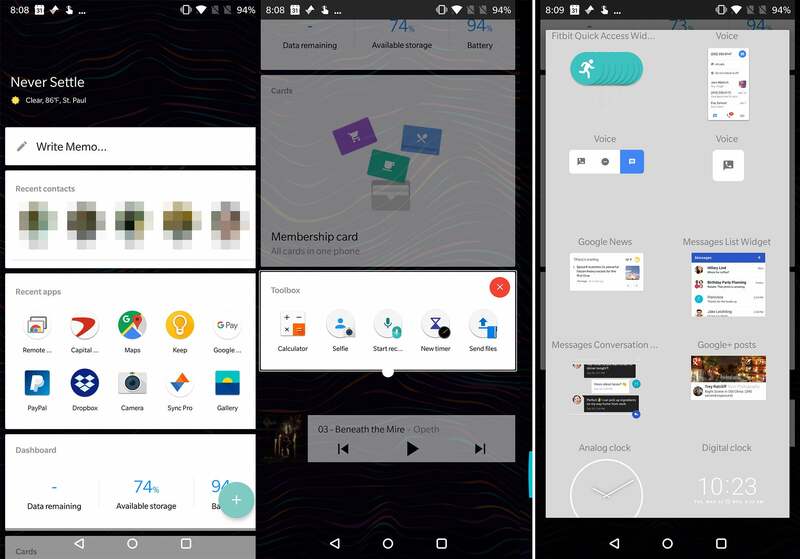 Any widget will work, but scrollable ones can get in the way of scrolling through the Shelf. If you don’t like the Shelf, you can shut it off in the Home settings.